Xperimental is the second of two new record labels/music platforms (the other being the recently launched Mater label) at the heart of an evolving creative concept headed by Diego Tuñón and Jimmy Van M. It’s focused on developing a label roster of young electronic artists from all over Latin America and is set to launch with a selection of tracks from Buenos Aires based producer/DJ/musician Ulises (aka Luxor T). 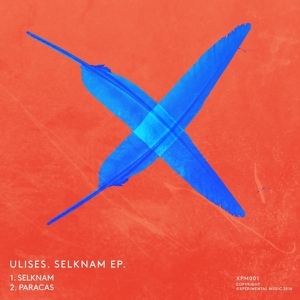 Ulises’ distinctive and diverse musical influences are on display throughout the EP. ‘Selknam’ is based around a percussion-fuelled groove, tribal chants, and a high funk-factor, to create a swirling dervish of a club track. In distinct contrast, ‘Paracas’ lowers the tempo and is structured around a hip-swinging, head-nodding groove, embossed with subtly hypnotic percussion and topped off with an interplay of understated guitar and synth hooks, along with a smattering of melodic motifs. Ulises is apparently ‘rising up the ranks as one of South America’s hottest electronic music talents’. Already a regular DJ at venues in Buenos Aires, his reputation has steadily grown via his remixes for Robert Babicz, Guy J, Eelke Kleijn, Marco Bailey, Lank, Saytek Live, Jeff Bennett, to name but a few. Drawing influences from synth-pop, indietronic and dance-punk, alongside the more regular electronic dance sub-genres. Currently, he is DJing across South America and working on new collaborative production projects with Jimmy Van M, AFFKT, Adrian Hour and Deepfunk.